I’ve never understood the popularity of the conventional shrimp cocktail. After all, boiling is the worst way to cook shrimp—it removes, not adds, flavor and produces a rubbery texture. And cocktail sauce made by mixing ketchup and bottled prepared horseradish is hardly what you’d call heroic. 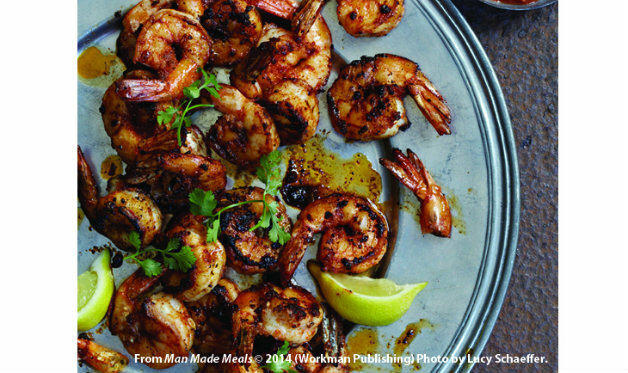 This shrimp cocktail starts with spice-crusted shrimp, which you sear in a skillet or under the broiler. The sauce gets a double blast of heat from grated horseradish and chipotle peppers. Now that’s a shrimp cocktail. Step 1: Prepare the shrimp: Place the shrimp in a bowl and sprinkle them with the spice mixture. Toss the shrimp well to coat, then add the 1 tablespoon of olive oil or butter and toss again. Step 2: If you are panfrying the shrimp, heat the oil or melt the butter in a large skillet over medium-high heat. Add the shrimp and cook until browned on both sides and cooked through, 2 to 3 minutes per side. If you are broiling the shrimp, preheat the broiler to high. Place the shrimp on a broiler pan a couple of inches under the broiler and broil them until browned on the outside and cooked through, 2 to 3 minutes per side. Step 3: Transfer the cooked shrimp to a serving platter and let cool to room temperature, then cover and refrigerate them for at least 1 hour. The shrimp can be prepared up to 24 hours ahead to this stage. Step 4: Meanwhile, make the cocktail sauce: Place the ketchup, horseradish, orange zest, orange juice, Worcestershire sauce, and chipotles with their juices in a mixing bowl and whisk to mix. Refrigerate the cocktail sauce, covered, until you are ready to serve the shrimp. Step 5: To serve, divide the cocktail sauce among 4 small bowls, one for each diner. Serve the shrimp on the platter, with the cilantro sprigs, if using, arranged on top. I’ve given two options for shrimp spices. 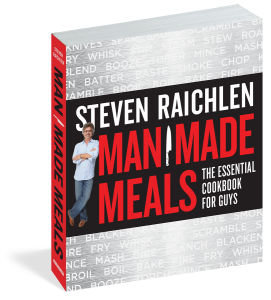 For Maryland-style shrimp, use the commercial Old Bay seasoning, while for Kansas City–style shrimp, use Raichlen’s Rub #2.